Emma in Bromley: Stick Dog a Review and Competition. 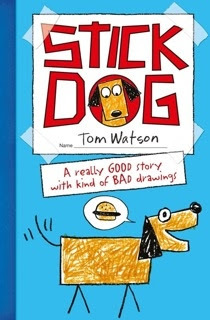 I was very happy to receive a copy of Stick Dog to review, it's written by Tom Watson and is full of comedy, adventure and fantastically simple drawings! It's aimed at children aged 9+ to read themselves but having said that, my 3 year old really enjoyed me reading it aloud and looking at the pictures - the comedy is simple and you can't help but giggle! 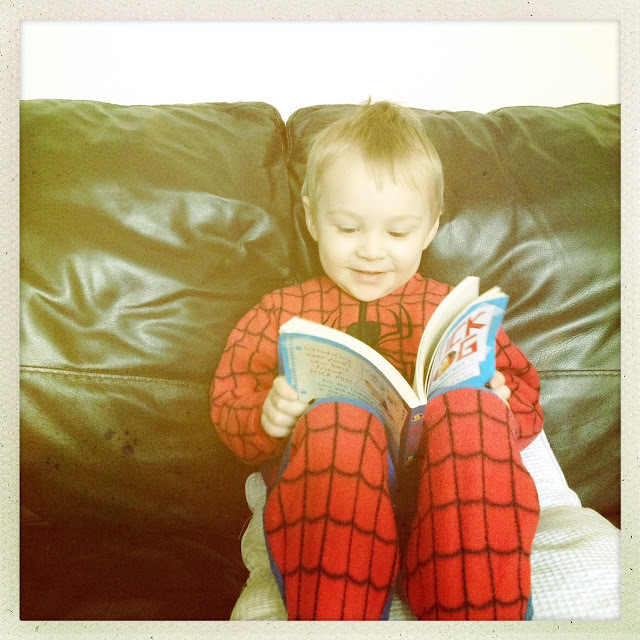 Blake couldn't stop laughing when we read about one of the dogs named poo-poo! Personally I liked Karen, the sausage dog best! And because Blake is going through a slight case of super-hero obsession, I was made to read the bit about super-dog swinging by a rope around her tummy to look like flying several million billion times! The whole adventure is based around a quest for a hamburger! 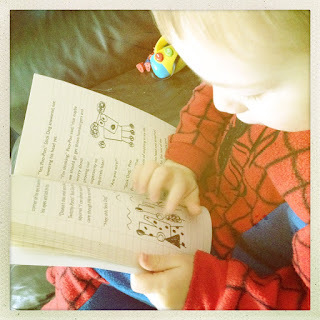 I enjoyed the Diary of a Wimpy Kid stories and can certainly see why Wimpy Kid fans would love this too! This is fantastic for boys and girls alike and I'd say for any age group really! Put a smile on a little person's face and enter my really easy comp to win a copy! "Meet Stick Dog – a new breed of hero! In his first adventure, Stick Dog and his friends embark on an epic quest to steal… a hamburger. With hilarious illustrations and pitch-perfect humour, Stick Dog is a must-have for fans of WIMPY KID and BIG NATE. Stick Dog and his friends, Mutt, Stripes, Karen and Poo-Poo have caught the scent of hamburgers and what hungry stray could resist that lovely meaty waft? All they have to do is follow the smell, find the barbecue and eat the hamburgers. But it’s not as easy as it sounds. The dogs need a ‘Master Plan’ and they’re not short of ideas. They’re just short of ideas that aren’t ridiculous, or dangerous, or just very very silly. With hilarious artwork, and an adorable four-legged hero, the story of Stick Dog’s quest for a delicious dinner is destined to be Top Dog." I'm lucky enough to have been offered a copy of "Stick Dog" to one of my lovely readers. To enter the competition, please leave a comment below telling me why you want to win - don't forget to include a way for me to contact you if you are the winner, such as twitter id or email please. Competition will close on Wednesday 6th March 2013 at 12noon. I think my LO would love the dog named Poo-Poo as she has a fine line in toilet humour! My kids would love this book because Stick Dog looks like our sausage dog! My 8 year old daughter would love this book, shes a massive fan of the wimpy kid and dork diary books so it looks like this will really appeal to her. She is currently reading the spy dog series and loves stories with dogs in them. My daughter would love this, looks great fun!